Nostalgia for Obama's presidency drives the former president's online popularity. Barack Obama is an incredibly popular politician, and he’s got the social media clout to prove it. A photo tweeted by Barack Obama in the wake of the violence at the Charlottesville protests became the most-liked tweet ever on Wednesday, with 3.4 million likes at the time of this reporting. The photo, an image of Barack Obama smiling up at a window full of babies, was accompanied by the first third of a Nelson Mandela quote concerning the human predilection for love over hate. The other two tweets completing the quote also received more than one million likes apiece. The sentiment is compelling in the aftermath of the open display of hatred and bigotry in Charlottesville, when neo-Nazis and white supremacists marched to defend Confederate statues and President Trump tacitly refused to denounce them. As such, Obama’s tweets were greeted with an intense outpouring of love and support, beyond the literal millions of favorites. Many users said they missed Obama, while others speculated on the spot he will occupy in history. With every day that goes by it's more obvious Obama was one of the great presidents in history, with Jefferson, Lincoln and both Roosevelts. Right about now, I could REALLY use a 3rd term of Obama. The positive response this tweet thread garnered was nothing new for the former president. Six of the ten most-liked tweets of all time, per Wikipedia, come from accounts associated with Obama. Two are from his archived presidential account, and four from his personal Twitter. After all, many of the qualities that carried Obama through his presidency translate well online. He retains his photogenic, charismatic, inspiring aura through well-intentioned platitudes and curated pictures of his equally photogenic, charismatic and inspiring family. But Obama’s most recent and most popular tweet also renewed calls for the president to do something about Trump: release a stronger statement of condemnation, band together with other former presidents, or even step back into office himself, a Constitutional impossibility. Carter, Bush, Clinton, Bush, Obama? You all need to publicly say something. Together. The living former presidents - Bushes, Carter, Clinton & Obama- should make a joint statement calling on the racist Trump to resign. 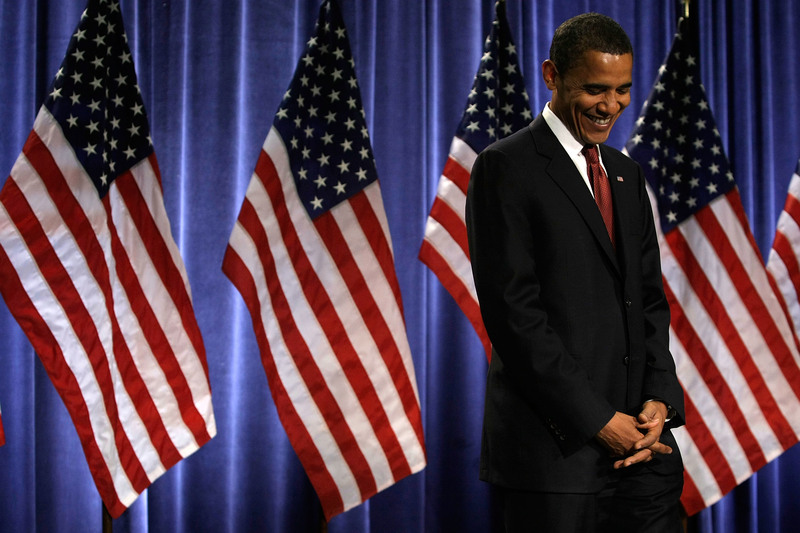 The Obama presidency was far from perfect, with potential criticisms to be made coming from both the left and the right. But his Twitter presence offers a nostalgic reminder of his “No Drama Obama” persona, taking Americans back to a time when the president’s most controversial headlines were his choice of condiments. But it’s that same drama-free persona that means Barack Obama is not coming back to save us from Donald Trump. It would be a serious deviation from American political norms for a former president to criticize his successor any more than these tweets already implicitly do. Obama has long emphasized his belief in maintaining those norms, even as Trump flaunts them. As such, Obama has generally shied away from making strong rhetorical statements since he left office. Most of his tweets are condolences to victims of tragedies, reminders of his administration’s policy achievements, or compliments directed at his wife. He can ameliorate the pain that stems from watching the rise of open white supremacist movements in America, but comfort is all that he can offer. And frankly, it’s not his job to do otherwise. In the words of Obama himself, it’s ours. That’s the sixth most liked tweet of all time, so hopefully people got the message.